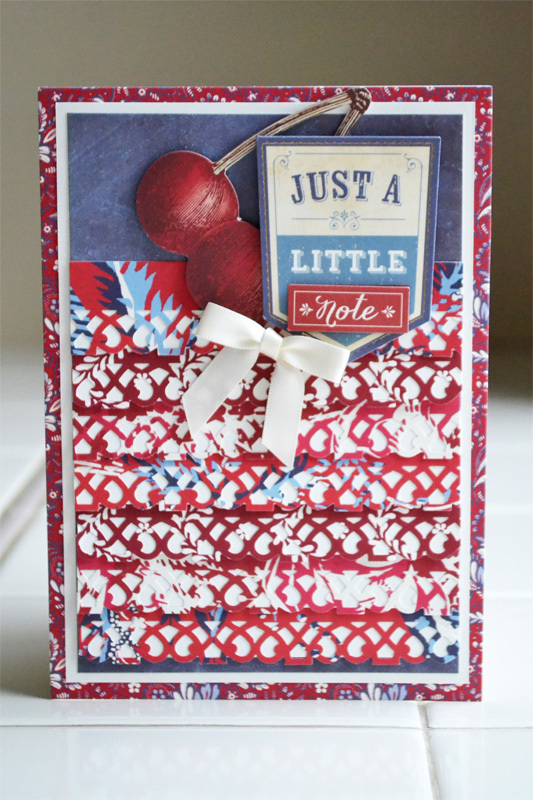 Create a cool background by arranging the same design punched in different colors diagonally across your project. For the above card I backed the punched designs with ivory cardstock to set them off and trimmed the edges to match the design of the punch. 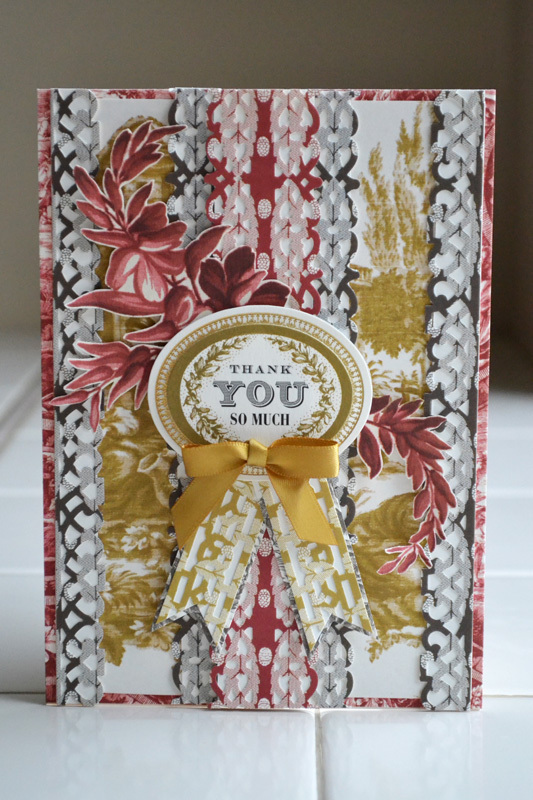 On this card I punched a border strip by punched both side of a strip of patterned paper. 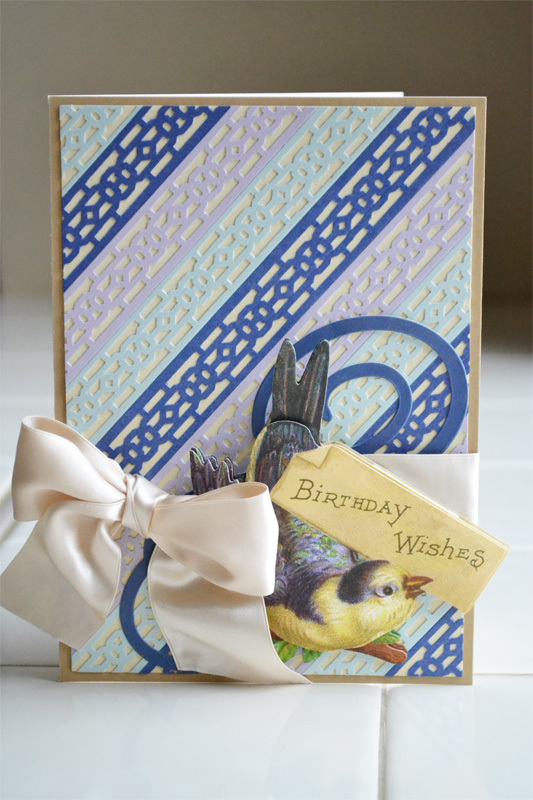 For the page above I added punched borders to the patterned paper designs. 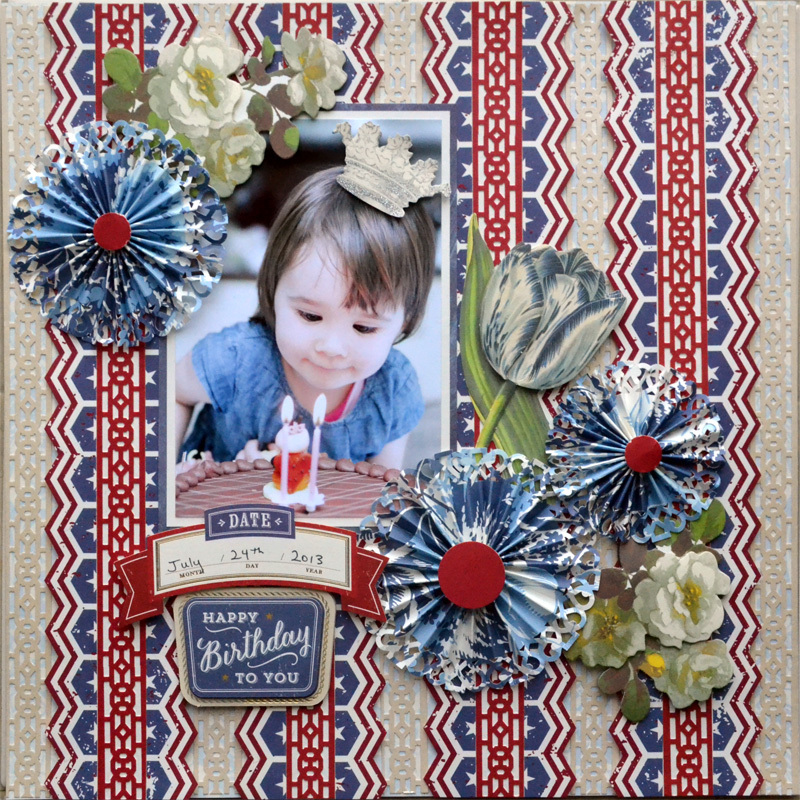 On this page the punched border strips follow the design of the patterned paper and blend right in. 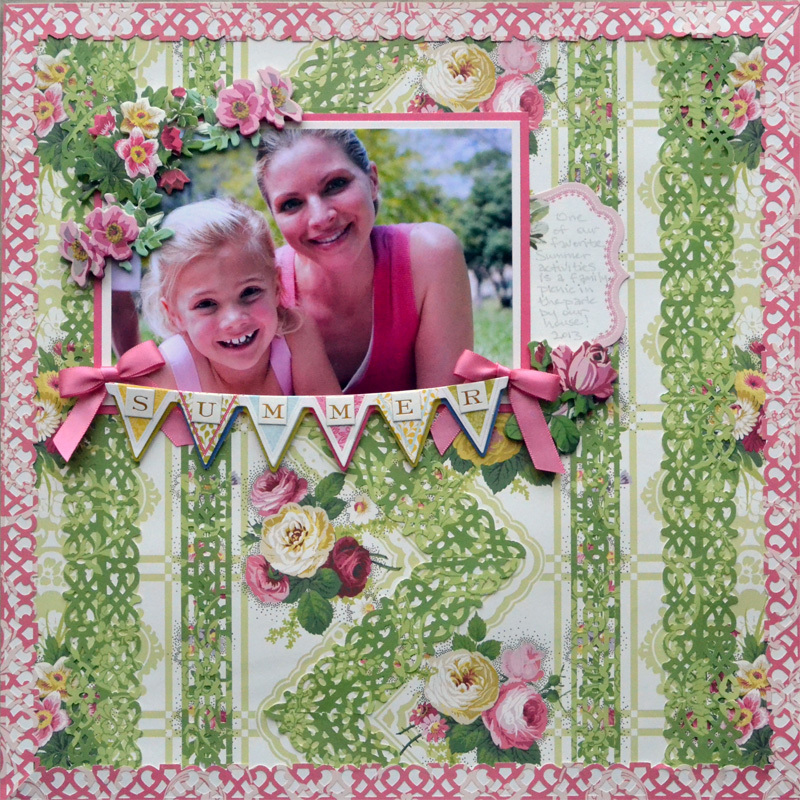 I had to do a double-take on the scrapbook page to realize punched borders were added - they blend right in. Very cool projects!